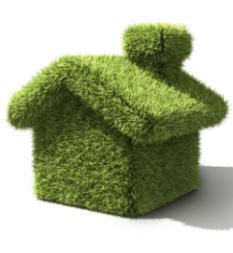 Quick Tips on Having a Green Home | TonerGreen - Eco-Friendly Toners from the U.S.
Having a green home nowadays is something great and exciting for people who want to help the environment in a different way. However, many are still hesitant to do so since some changes need to be made just to turn your home into an eco-friendly one. So, how can you really have that green home without too much work? Try the quick tips here to transform your house into a home filled with a love for nature. First of all, if you are planning on painting your house, then you might just want to go for a no-VOC (volatile organic compounds) type of paint. The traditional paints normally have harmful chemicals that can cause sickness and even damage the environment. If you are really sure you want to have a green home, then start with the painting. When it comes to your furniture, you may want to go vintage since these furnishings are more eco-friendly and you get to reuse them without having to buy new ones. You can also use green cleaning agents for your appliances which are safe for both your health and nature. Lastly, you can supply remanufactured toner cartridges or printer inks for your printer at home. These printer supplies recycle used cartridges, which is great in reducing the wastes thrown in landfills and also helps conserve resources. Applying these easy tips for your home will surely make you and your place a friend of the environment in a great way.